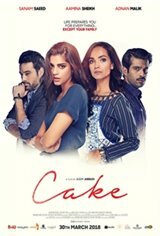 "Cake" a story about love, loss and passage of time. The story is something we all can relate to in some way. We have seen globalisation, children moving away and the rivalry between siblings. It's a story about love, loss and life and death - all the things that we are familiar with. It's about two sisters, one of whom lives abroad and the other is left behind here. It showcases their conflicts in dealing with their relationships and parents.